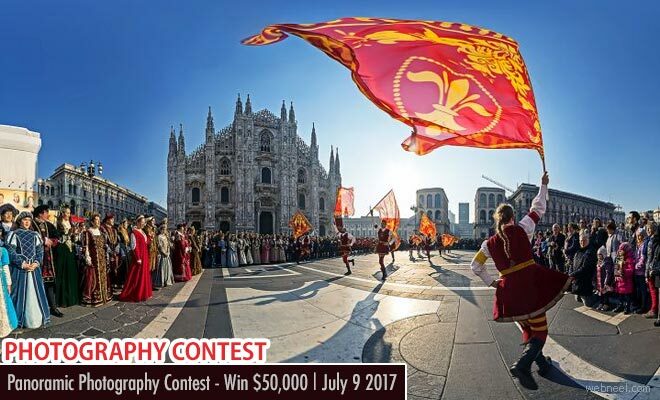 Photography Contest : Digital photography and editing is evolving in great pace with popularity in image stitching particularly in panoramic format. The 8th EPSON International Pano Awards is encouraging the craft and art of panoramic photography. The competition is open to panoramic photographers around the world. There are competitions for amateur as well as professional photographers - with a photography earnings threshold of $20,000 per year – and categories for nature/landscapes and the built environment, as well as a special section for VR and 360° imagery. Entry Fee : Entry costs $16, $18 and $22 according to the category. Prizes include individual cash awards of $5000 as well as Epson professional printers in the Open competition, while amateurs can win a Nikon D810 with the AF-S 14-24mm F2.8 lens along with a collection of cash prizes.